1. 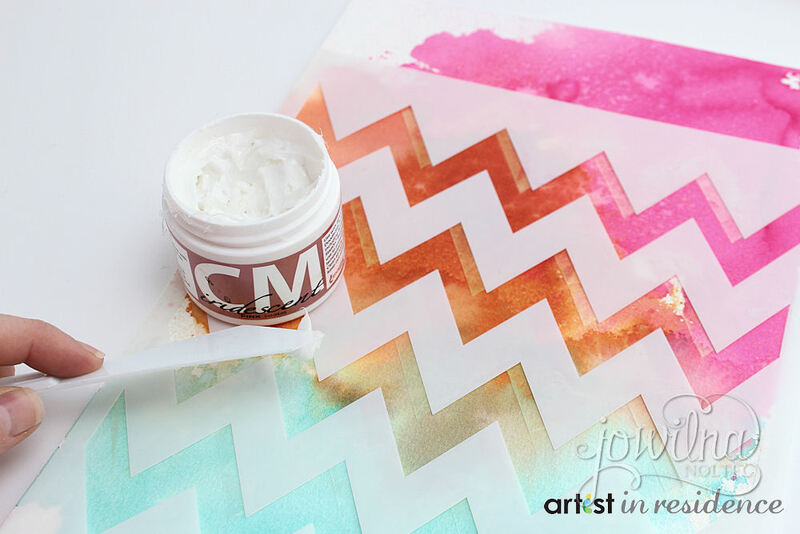 Colour your background page with 3 colours of Memento inks. Add the colours in stages with drying time in between so that they are layered from top to bottom. 2. 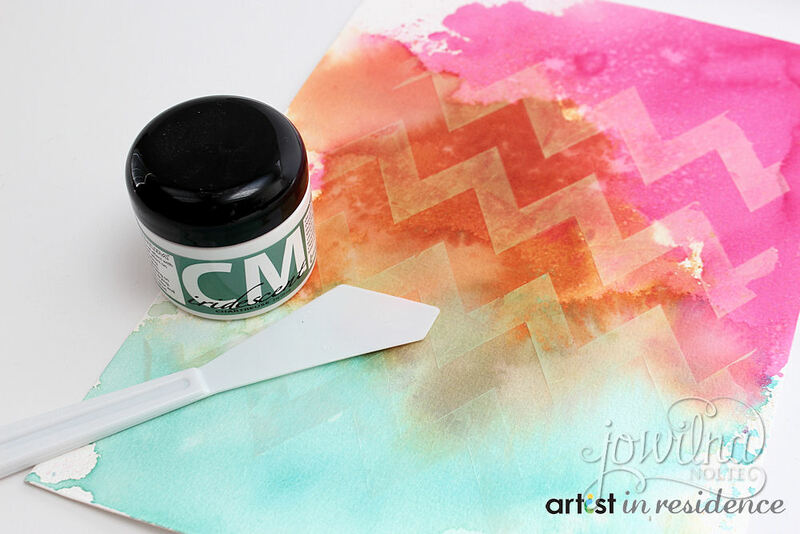 On your dry background add stenciling using Creative Medium Iridescent green. Leave to dry. 3. Replace the stencil off-set from the original stenciling. Stencil a second time using Creative Medium Iridescent Pink. Leave to dry. 4. 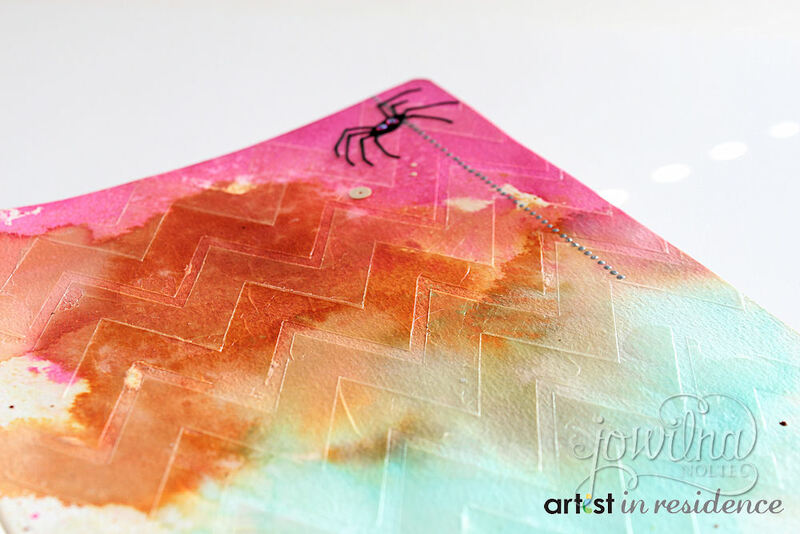 Draw a pencil guide line and then add dots for the spider web using silver irRESISTable Pico Embellisher. Leave to dry. 5. Finish off your page with a spider die-cut, some red diamante eyes, sequins and pretty floral rub-ons. I absolutely love how the Iridescent mediums creates different effects on the background colours. 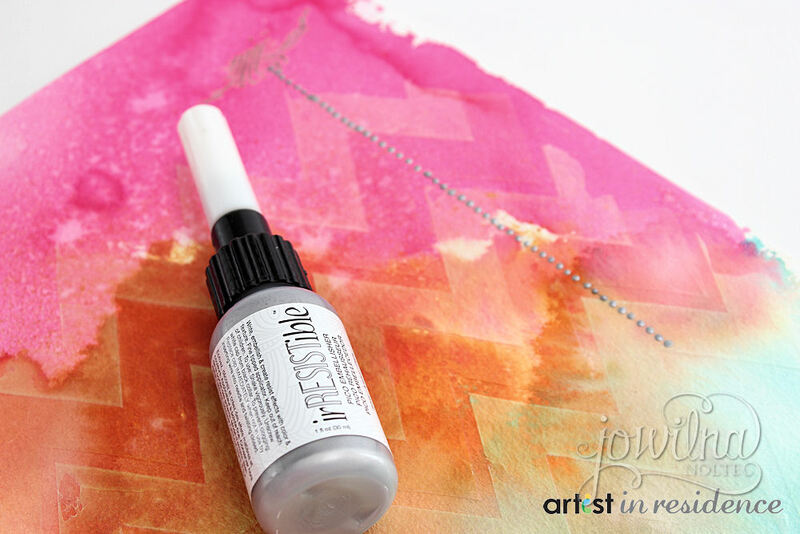 Stencil, art journal, sequins, diamante, pencil, watercolour paper.